Posts tagged "yacht charter Italy"
Italian-built superyacht OLAH revved everyone’s engines recently. The owner announced a 25% price reduction AND a secured trackside berth for the 2011 Monaco Grand Prix. The 47.5 meter yacht originally offered a 5-day race package for Euro € 159,000. She then reduced that price to Euro € 120,000 for 5 nights, including the berth. All running expenses, such as fuel, food, and bar, are extra. WHO IS THIS ITALIAN SUPERYACHT? 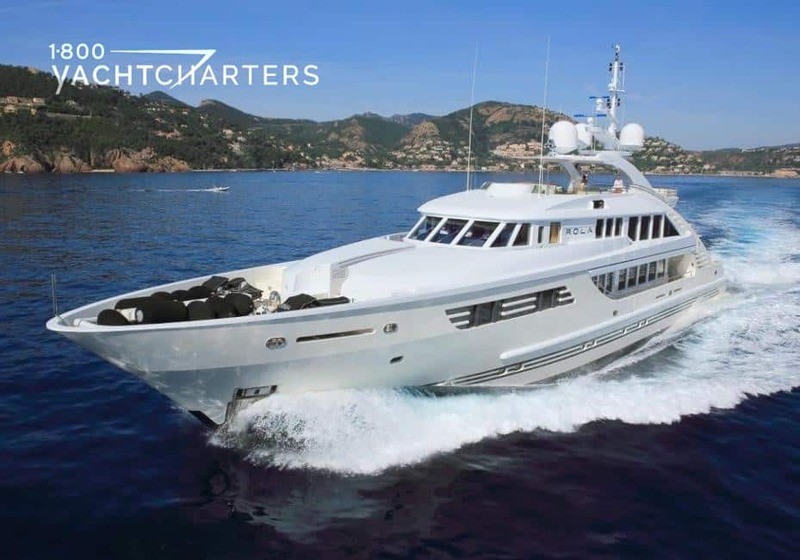 The 2005 Italian megayacht is a regular fixture on the summer Mediterranean yacht charter circuit. She has Walter Franchini Design, with a light and elegant interior by Cristiano Gatto Design. Yacht OLAH (x-KOLAHA) accommodates up to 10 guests. She can host up to 40 guests while in port for race watching and corporate cocktail receptions. Yacht charters are one of the most popular ways of experiencing special events like the Monaco Grand Prix, Cannes Film Festival, Mipim, or Fashion Weeks. “At this late date, it is critical to have a secured superyacht berth,” states Jana Sheeder, President of 1-800 Yacht Charters and SailAway Yacht Charters. When it comes to events, no one is better at last-minute reservations than the destination specialists at 1-800 Yacht Charters. Get in the race and contact the special events charter desk at https://www.1800yachtcharters.com/book-now-contact-us/ today! 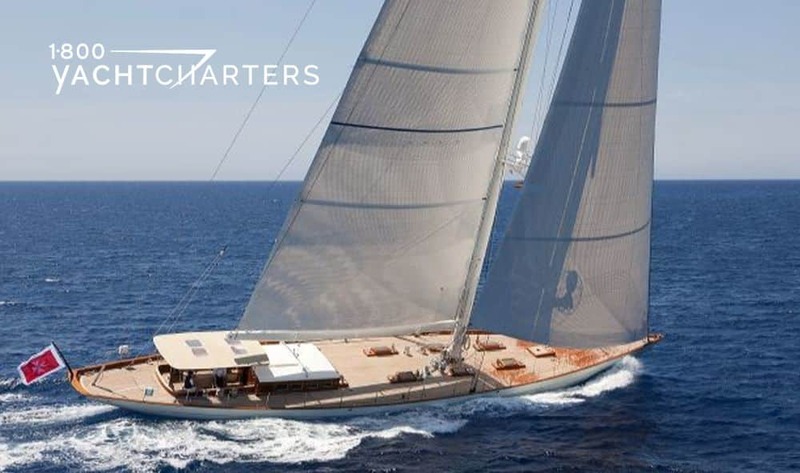 A 111-foot sailing yacht has announced a summer special for charters in the Western Mediterranean confirmed prior to June 15. Book a Italy yacht charter this summer aboard JOM sail yacht ANNAGINE and save as much as €10,000. All bookings complete by June 15. Charter dates can be anytime this summer. 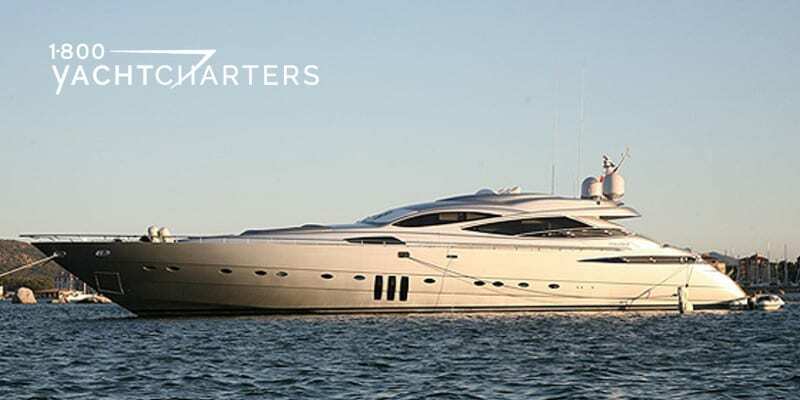 If your charter dates are in low season (June or September), you’ll pay just €29,000 per week for six to eight guests (regular rate is €39,000 per week). High season (July and August) rates are from €43,000 per week to €33,000 per week. Designed by Dykstra & Partners Naval Architects and built in 2010 by JOM in Holland, the 33.90 meter sail yacht ANNAGINE is designed and built for comfortable high performance cruising and fully-equipped to the latest standards for a memorable luxury sailing charter. Based in Sardinia, the classic-styled sailing yacht ANNAGINE is available for seasonal racing regattas as well as traditional cruising charters in Italian waters. If you are planning a luxury mega yacht charter this summer on a Mediterranean yacht, you’ll be pleased to know Luise Group, leaders in maritime agency services to the superyacht industry, has taken over management of the Ponente Quay (Molo di Ponente) of Lacco Ameno on the Island of Ischia. The marina known previously as Heaven’s Quay, has now been renamed The Seventh Heaven Yacht Club. Ischia is a volcanic island in the Tyrrhenian Sea, about 30 kilometers from Naples, Italy, at the northern end of the Gulf of Naples, and is a frequent destination for sail boat charters and mega yacht charters. The Seventh Heaven Yacht Club, located on the northern part of island of Ischia, can accommodate twelve mega yachts, and the marina covers an area close to 16,000 square metres. The pier, which is 140 metres in length, offers all essential necessities including water, electricity, and mooring posts. The renamed facility will now figure prominently among the most prestigious ports and marinas that are currently managed by the Luise Group. 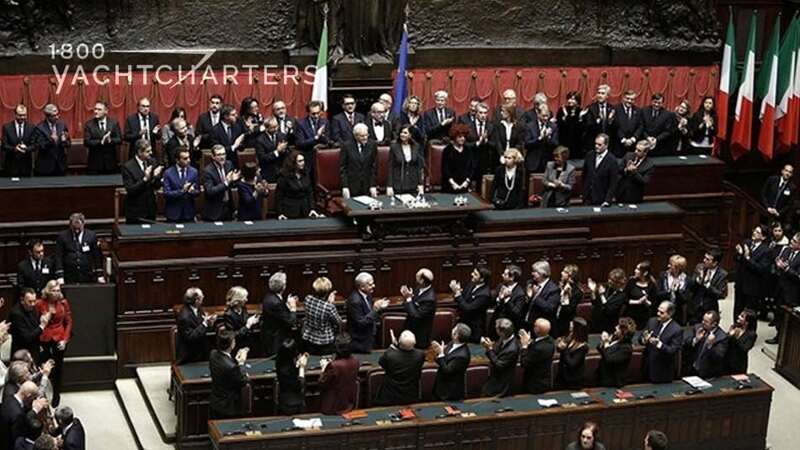 Luise Associates, the branch of Luise Group which is exclusively dedicated to maritime agency services for mega yachts, works with over 600 yachts cruising in the Gulf of Naples each year. 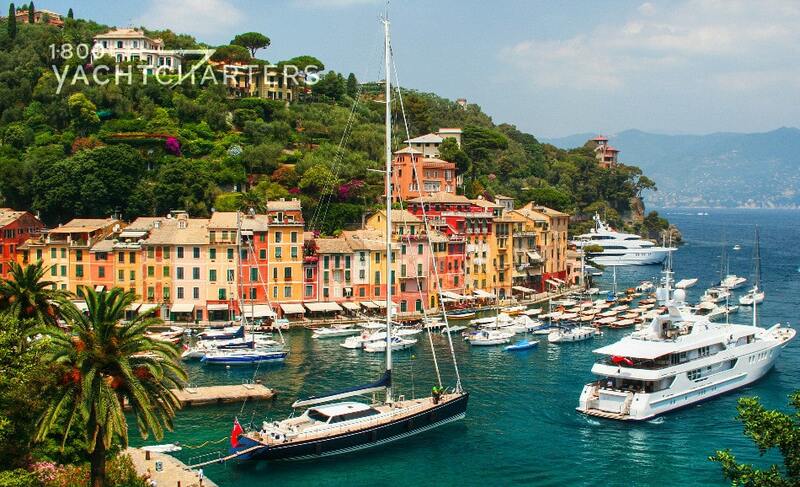 Are you ready to plan your yacht charter in Italy? 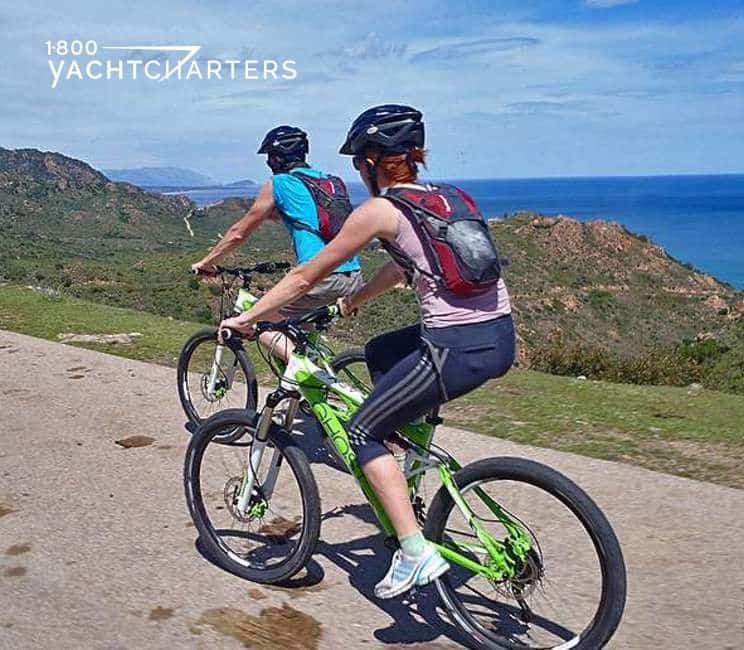 Contact us at 1-800 Yacht Charters at https://www.1800yachtcharters.com/book-now-contact-us/, and we will get it started for you!